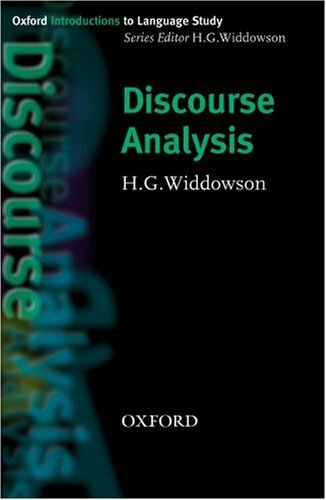 Oxford Introductions to Language Study - Discourse Analysis by Widdowson, H.G. on ELTBOOKS - 20% OFF! *Examines key discourse concepts such as schema, register, discourse genre and the use of corpora. It considers what corpus descriptions of text tell us about language and examines how speakers take turns and negotiate meaning.